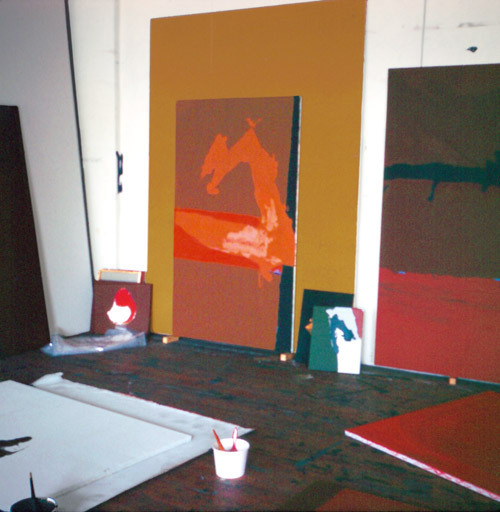 Motherwell notices a recent painting, Summertime in Italy (P378) leaning against a larger canvas primed with an ochre ground. Finding the proportion of the smaller canvas to the larger one pleasing, he traces the outline of it in charcoal on the ochre ground. He decides against modifying the canvas further and provisionally titles the work Ochre Door; this work will become Open No. 1: In Yellow Ochre (P397).